Apple's Developer Center portal has been offline since Thursday, and now, iMore's news team has the reason: the website was attacked by hackers. 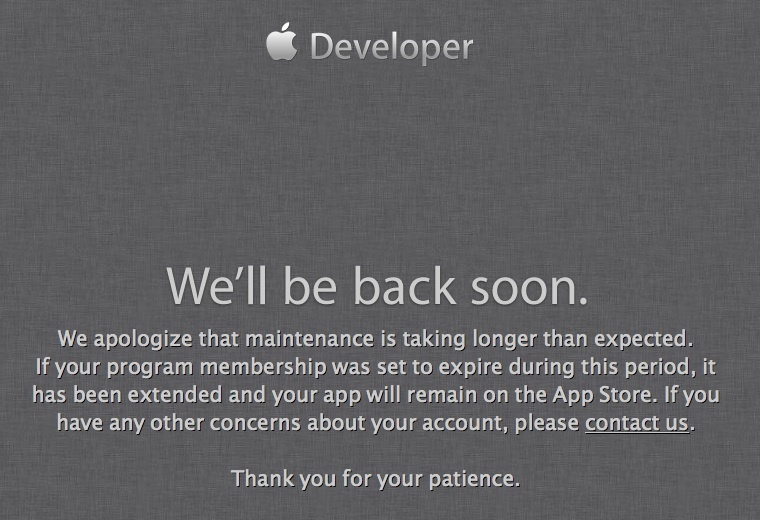 "Apple has sent an email out to developers addressing the reason behind the ongoing multi-day outage of their developer portal, confirming suspicions that it was the result of a security breach." "Last Thursday, an intruder attempted to secure personal information of our registered developers from our developer website. Sensitive personal information was encrypted and cannot be accessed, however, we have not been able to rule out the possibility that some developers’ names, mailing addresses, and/or email addresses may have been accessed. In the spirit of transparency, we want to inform you of the issue. We took the site down immediately on Thursday and have been working around the clock since then. In order to prevent a security threat like this from happening again, we’re completely overhauling our developer systems, updating our server software, and rebuilding our entire database. We apologize for the significant inconvenience that our downtime has caused you and we expect to have the developer website up again soon." 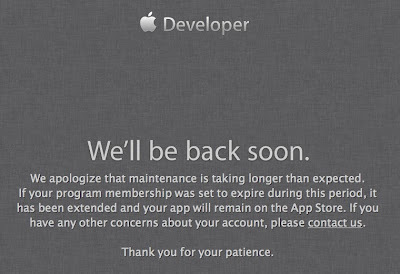 Before announcing that the Developer Center was attached by a hacker, Apple posted a generic system maintenance page that appears below.